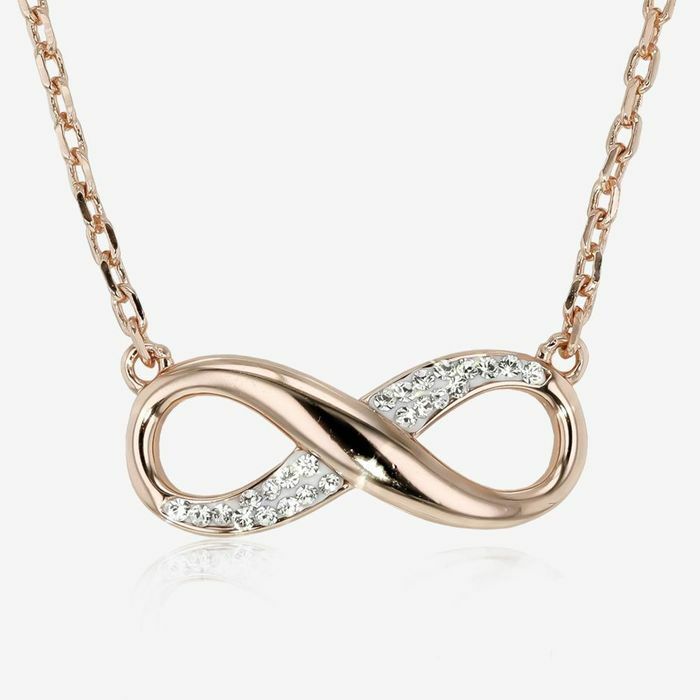 Hand set Swarovski crystals contrast beautifully with the highly polished crossover element to create a gorgeous Infinity Design necklace. This is an absolutely stunning creation and one you will be proud to wear. Matching items available. Great gift idea.